Rigid base design increases strength and stability. Four stack, tubular steel shoulder pad rack. 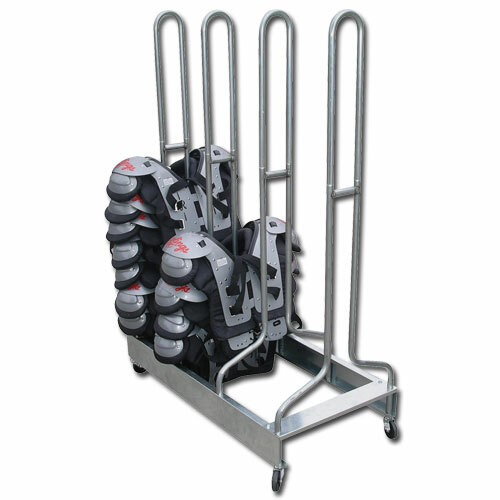 Holds up to 60-80 pads per rack, depending on pad size. Reinforced steel base has four heavy duty swivel casters for easy movement. Size 24W x 60L x 68H. Weight: 52 lbs.